There’s more to life than just plodding to work and back, sleeping and repeating, but for most of January that’s mainly what I’ve seemed to do… I’ve had very little energy or motivation – I’m just about on time for work and on top of the washing up (because otherwise I run out of cutlery…) but I’ve found very little get up and go for much else. 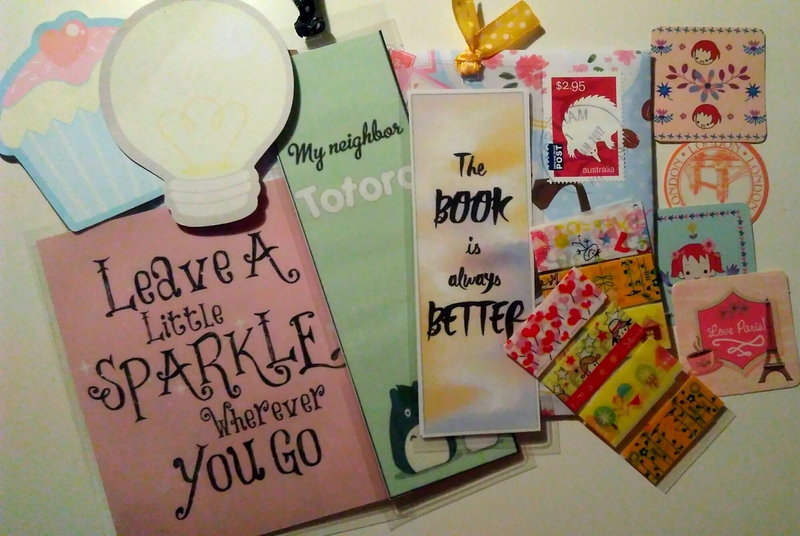 I’m sure some people do all sorts of things and create huge amounts in their evenings, and I’d love to be one of those people, but most nights my projects and letters remain untouched. I’m feeling restless and easily distracted, I want to make plans and go places and complete things but the steps to get there seem they require more energy and decision making ability than I currently have. I’m hopeful that a bit of determination and the imminent arrival of Spring will get something done soon! 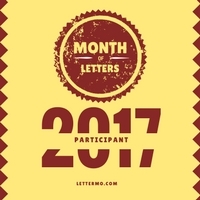 ​I tried to keep track of all my sent post last year but I moved house and misplaced my list… I’ll try to record all of my outgoing and incoming post this month, and hopefully anything else I end up doing. 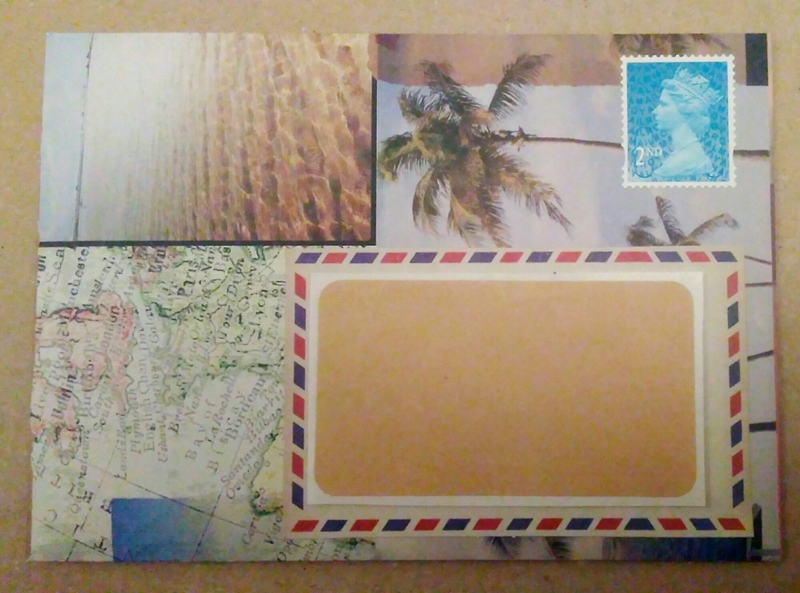 Great travel themed letter off to exotic London! Swap-bot ‘send me something to make me smile’ swap from Australia. There’s plenty of goodies to make me smile here 🙂 and clearly a swapper making full use of a laminator! This card coming home was a surprise, it was part of a travelling postcard swap which hasn’t happened for a while. The swapper who sent this back said they had received theirs so sent mine on. It looks like it missed round 3! I’m hoping to hear back from the swap organiser if anything more will happen. 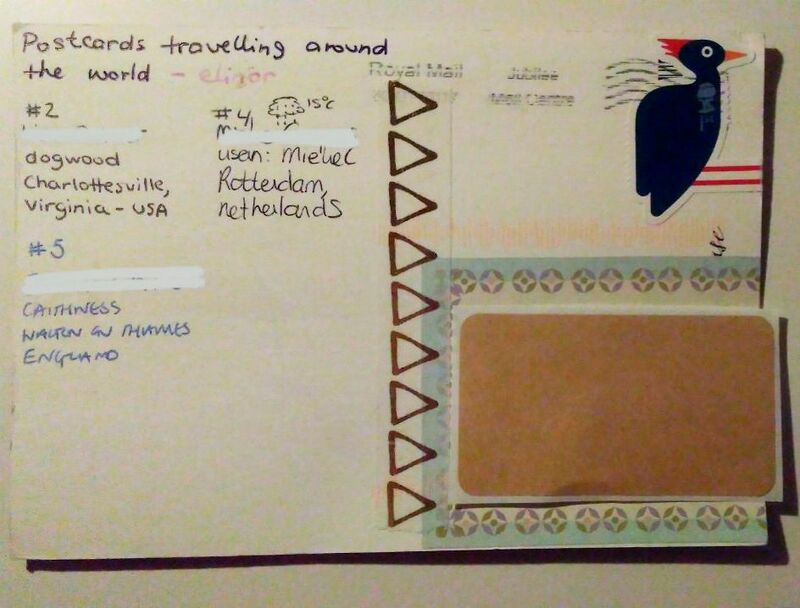 I’m also signed up to the main travelling postcard swap on Swap-bot now, I find it fascinating.